What does it mean to Be Boundless? At Boundless Adventures, we build and operate the most challenging and unique aerial adventure parks in the nation. 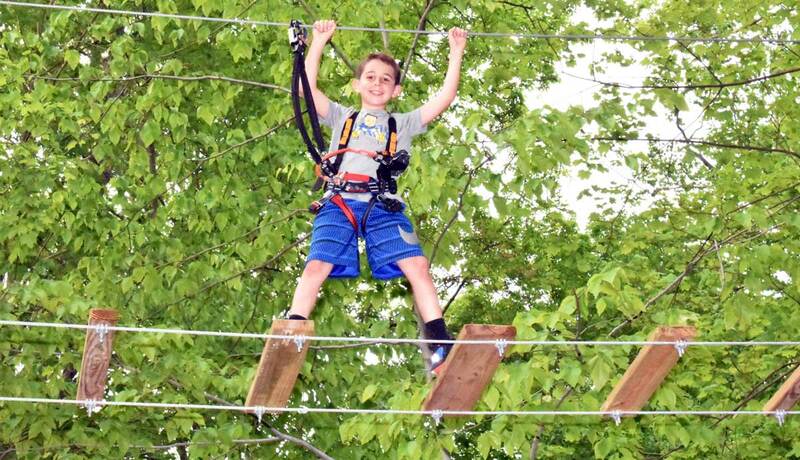 Every Boundless park is created in the spirit of helping people of all ages and skill levels challenge their boundaries by swinging, climbing, balancing, traversing, and zip lining through our tree-top adventures! WHAT IS AN AERIAL ADVENTURE PARK? An Aerial Adventure Park is a combination of a high ropes course and a zip lining park, our aerial adventure parks are designed to both challenge and entertain. Swing, climb, balance and traverse your way through the trees on our custom designed ropes courses. Each element of a ropes course is designed to entertain, but also to challenge the individual - physically and mentally. While there are many standalone zip line parks, we have integrated ropes courses along with zip lining. As you move through the trees, an occasional zip line will give you the opportunity to truly fly through the forest. Yelling isn’t required, but it is encouraged.